As Germany prepares for general elections in September, Leo Hoffmann-Axthelm points out Berlin’s responsibility in the politicisation of the European Central Bank (ECB), saying it is largely due to German inaction during the eurozone crisis. Leo Hoffmann-Axthelm is a campaigner at Transparency International, a campaign group. He spoke to EURACTIV.com’s Publisher and Editor, Frédéric Simon. TI recently published a report on the ECB transparency, saying it strayed into the realm of politics without the necessary democratic scrutiny. How was it received in Frankfurt? The ECB’s first reaction is to emphasise they are a technocratic body, so they don’t admit that they take political decisions. And therefore they don’t see a need for increased democratic oversight or for protection against lobbyists taking meetings with them. But that’s just the starting position – the ECB actually acknowledges that they are being lobbied all the time. They ended up embracing our project with open arms and they invited us to Frankfurt to interview some of their most senior people. We gave them the opportunity to read our report and send comments before publication, so there was a whole feedback process to make sure everything was factually correct. When you talk about lobbyists, they’re mainly from the financial and banking sector? Yes, this really became a thing following the ECB’s expansion into banking supervision. And, in fact, the European Banking Federation and a number of national banking associations have opened new offices in Frankfurt with the stated purpose of enabling their banks to take lobbying meetings with the ECB. But the supervision side is quite separate from the more classic monetary policy type of activities, right? Yes. But still, if you look at the diaries of the executive board members who are not involved in supervision, you will see that they too have a lot of meetings with financial institutions and very few with the real economy. So it’s very skewed toward the financial sector. And there’s a two-fold reason why they have to meet these people. One is their own monetary policy – they have an interest in meeting financial sector participants to make sure that their monetary policy is taken up the way that it’s intended by the ECB. The second is to get feedback from the financial market participants. So that already shows there is quite a fine line to walk and that there is absolutely a need for transparency on these meetings. Talking about lobbyists, it’s much more interesting to look at the banking supervision side, because banks are very eager to get meetings and influence the relatively new supervision practices. And also because the ECB has a lot of discretion on how they do banking supervision – it can give fines of up to 10% of turnover, revoke banking licenses, and represents the EU in the Basel Committee on Banking Supervision. So the ECB is the de facto standard-setter for the EU and we frankly do not know what positions the ECB is advocating for in the Basel Committee, so we feel it should report on this publicly. The ECB president already reports to the European Parliament economic committee on a regular basis. Isn’t that sufficient in your view? These monetary dialogues take place every three months, but they are oral remarks only which really falls short of disclosing what the ECB is advocating in the Basel Committee in terms of capital requirements for example. That’s the first issue with the monetary dialogue. The second issue is that it has no legal force. If you look at the treaties, the ECB only has to show up once per year in the European Parliament to present its annual report. Everything beyond that is done only out of the ECB’s own accord. Accountability has to carry legal force because otherwise, it’s an oxymoron, where the Parliament has to be grateful for the ECB showing up, rather than taking it to task over how broadly it interprets its mandate or delivers on inflation targets. The European Parliament also should not be left off the hook here. MEPs basically have three minutes to make their statement, but everybody wants their moment of glory. They even tend to ask questions on matters that the ECB has no jurisdiction over so the whole process becomes a bit vague. Mario Draghi can really answer one question after the other without being pinned down on contradictions or on the more controversial aspects. You would need to change quite thoroughly the way the Monetary Dialogue is organised. The Greek economy is still in crisis, contracting 1.2% in the quarter. The figures, published by the Greek statistics agency, Elstat, show it was the worst quarter since the summer of 2015, when the European Central Bank closed the Greek banks. Do you agree with German critics that the ECB has taken on a much more political role because of the eurozone crisis, outside of its remit? Yes, of course. But ironically, it was mostly German foot-dragging that stood in the way of organising a fiscal policy coordination at the European level which matches the ECB’s monetary policy, and of deepening eurozone institutions more decisively. What were the main milestones towards the ECB’s politicisation? The first thing that comes to mind is the famous secret letters written by ECB President Jean-Claude Trichet back in the early days of the crisis. Those were definitely a watershed moment when the ECB actually formulated specific demands on national governments. By their nature, these letters went beyond the realm of monetary policy and therefore beyond the ECB’s mandate. The ECB became the enforcer of policies that the political level, the Eurogroup, could actually only agree to on a voluntary basis. We’re talking about economic or so-called structural reforms, right? It depends on the letters. The Irish letter, for example, simply demanded that Ireland seek a bailout from the European institutions. And of course a bailout means budget cuts for two or three years, it means opening up the Pandora’s Box of all kinds of structural reforms and a significant loss of sovereignty. Clearly this has nothing to do with monetary policy. And similarly in the Spanish and Italian cases. Of course, the ECB should not be sending such letters – at least they shouldn’t be sending them secretly. How many of those were being sent—do you know? Four, as far as I know – Spain, Cyprus, Italy and Ireland. At the same time, it has to be said that this was quite a long time ago, the ECB has learned a lot since, and they would probably try to avoid doing something like that in the future. But that’s insufficient reassurance. If the ECB really feels the urge of doing something that goes beyond its mandate, our recommendation is to do it publicly and have the Eurogroup president and the European Parliament co-sign the letter. The trouble is that the European Semester cannot be enforced, which is not the case for the ECB letters. Sometimes they threatened to cancel emergency liquidity assistance or stopping secondary market bond buying, especially in the case of Spain and Italy, which in those situations amounted to pulling the plug on these countries’ euro membership. Does this mean there are regular secret meetings between the presidents of EU institutions on eurozone governance matters? There’s a crisis cell with the presidents of the European Commission, the Eurogroup, the ECB and a number of member state representatives. They met very often throughout the eurozone crisis. And then, of course, Mario Draghi seems to have taken a lot of phone calls during the crisis from the German chancellor. We’re not saying that this infringes on the ECB’s independence—coordination is definitely needed. All we’re saying is that if you’re going to take calls from governments, then you shouldn’t only ask the Germans. And then it’s the job of the Eurogroup president to reconcile the positions of different countries. But calling the Germans directly just out of pragmatism is simply anti-democratic. 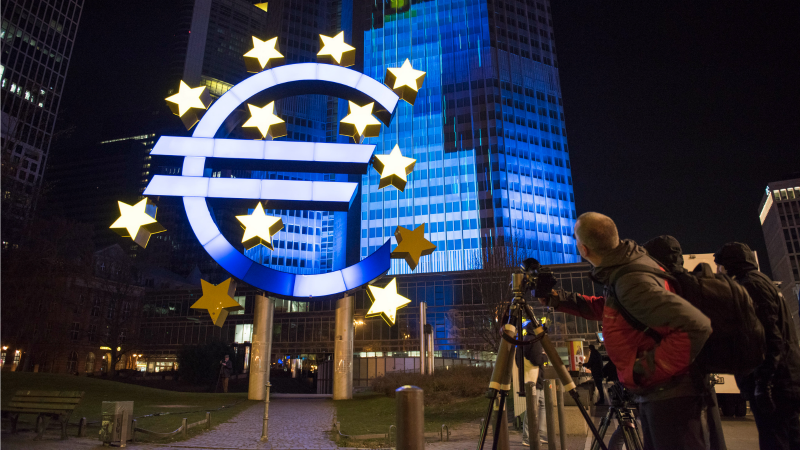 The European Central Bank needs greater oversight and more accountability, as it has strayed into the realm of political decision-making but without the necessary scrutiny, global watchdog Transparency International said in a report on Tuesday(28 March). We do agree that the ECB has gone too far and stretched its mandate, but we don’t agree with the German officials who complain about this because they created the situation in the first place. Member states have conveniently hidden behind the technocrats at the ECB in order to kick the can down the road and avoid difficult political compromises and trade-offs. Basically out of political inertia, the member state governments – first and foremost Germany – were not willing to do the necessary reforms and thereby forced the ECB to pick up the pieces and take the heat. And now to turn around and criticise the ECB from the perspective of, let’s say, a German finance minister, is quite amazing. The ECB just bought time, it didn’t solve the problem. That’s why we call on all actors involved to finally come up with a more sustainable institutional architecture. You cannot govern the eurozone only through the Eurogroup, an informal institution without even any formal decision-making authority. Of the five scenarios presented by the Commission on the future of the EU, which one is your favourite? In the euro area, what is basically missing is a fiscal counterpart to the ECB. The ECB is in a unique situation where it sets European-level monetary policy but has to deal with 19 different fiscal authorities which have their own fiscal policy stance. Now, if there were some way to centrally coordinate a fiscal policy in such a way that makes sense from an economic perspective and aligns with the ECB’s monetary policy, then the whole economic outlook would be much, much better. For years, we have been trying to achieve this “aggregate fiscal stance” for the euro area as a whole. The Commission sometimes claims to have hit the correct fiscal stance, but never by design—always by luck—because the fiscal policy process is not binding. And so all the calls on the Netherlands and Germany to use their fiscal space and increase spending have fallen on deaf ears. Rectifying this would entail the creation of a eurozone finance minister, I guess. TI doesn’t take a position on whether we want more or less integration. All we’re saying is that if you have monetary policy at the EU level, then it has traditionally made a lot of sense to have fiscal policy coordination at that level as well. 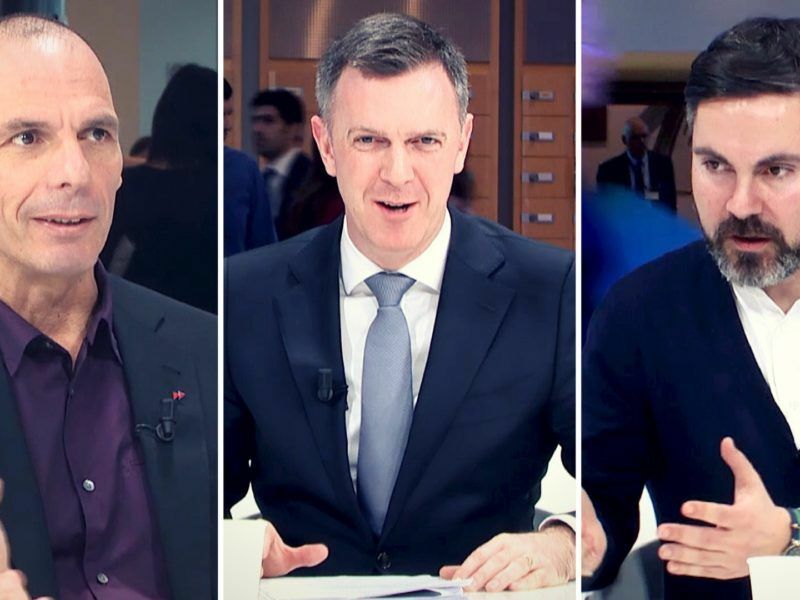 Whether you do it via an EU-area finance minister who is vice president of the Commission and at the same time chairs the Eurogroup meetings – that’s a possibility. What I can tell you is that the Eurogroup should not have a president who is a national finance minister at the same time because of the obvious conflict of interest. So it makes sense to have a full-time president for the Eurogroup. That could lead to better accountability and surely to a more forceful coordination of fiscal policy. After all the criticism on the ECB’s politicisation, how do you see the upcoming elections taking shape in Germany? Do you expect a stronger showing of the AfD or maybe a harder stance from parties such as the CSU? Frankly, it all depends on which party takes the finance ministry. 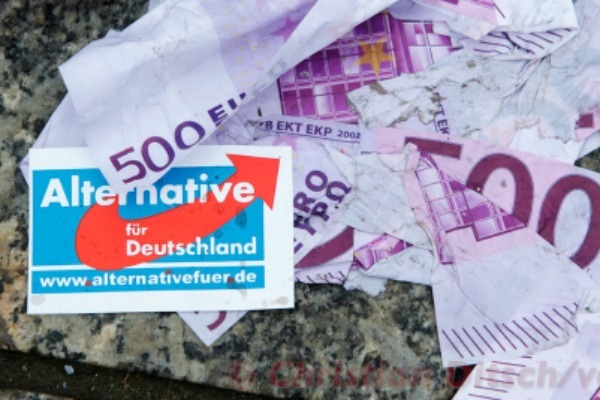 The AfD went from anti-euro to anti-immigrant party, so they have no credible profile on economic policies as things stand. The original founders who espoused a very traditional “ordo-liberal” economic policy left the party. We can surely expect a harder stance from the CSU, we’ve been seeing that for a long time. But their tough talk is also focusing on migration mainly, while individual CSU parliamentarians are suing their own government in the constitutional court over eurozone reforms. In the current parliamentary system, the AfD might take 10% at best. So they will be shut out. If the Social Democrats and the CDU are forced to continue their grand coalition, you would hope for the former to at least insist on the finance ministry. The liberal FDP is very pro-European, but has advocated to kick Greece out of the eurozone and is unlikely to favour deep eurozone reforms. If, on the other hand, Schulz wins, then all stars could align with what President Macron in France has been advocating. They would probably drive a kind of multi-speed EU with the eurozone at its core going ahead and integrating further. 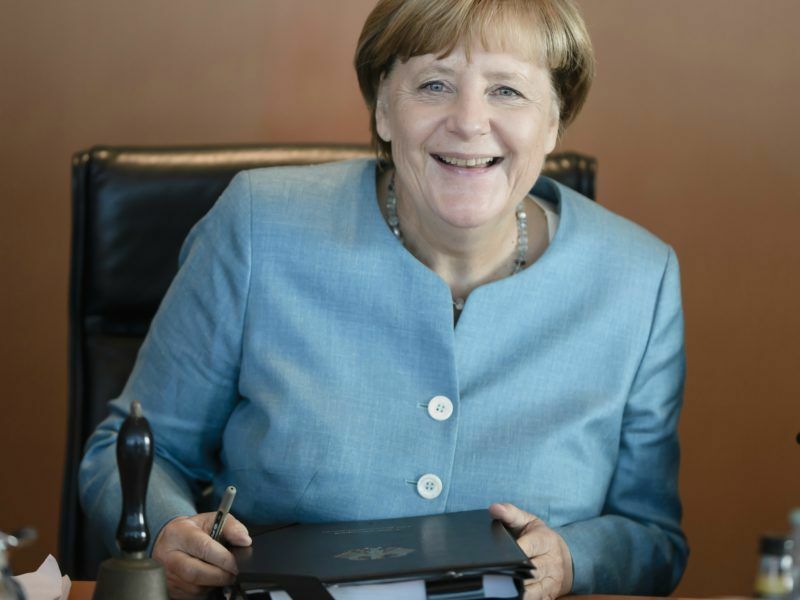 With a month to go until Germans head to the polls, Angela Merkel looks set to cruise to a fourth term as chancellor of a country showing little appetite for change. So you really see Macron and Schulz as a kind of “dream team” that could unlock the eurozone reform process? Yes but it’s also a highly improbable scenario, and it’s worth noting that we already could have had a left-of-centre government in Germany in the last four years, but the Social Democrats chose not to cooperate with the far-left party. With the German parliament swelling from four to six parties, it’s far from clear if such a centre-left majority can materialise again in the future. Schulz administered a grand coalition of sorts with the EPP in the European Parliament, but his drive for power could lead to the SPD taking greater risks going forward. With Merkel expected to win a fourth term, what are the chances of eurozone reforms happening? Does France have an interest in giving away further sovereignty for eurozone reforms that are first and foremost likely to benefit weaker southern European nations? That really is the key question here. But Merkel has actually acknowledged that things like an “EU Finance Minister” or even a euro area fiscal capacity would be possible after the German election, in reaction to Macron’s victory. So under the umbrella of those big-ticket items, you can see a series of smaller adjustments to the eurozone getting done. She’s been around for 12 years, so one could ask why would she change now? Then again, it wouldn’t be her first U-turn on eurozone policy, bail-out funds, Banking Union and many more things had all been ruled out before they weren’t. The expectation is that this is her last term, and she should have her legacy on her mind first and foremost. She expended a lot of political capital on her response to the migration crisis, which didn’t go down too well among conservative voters. But winning a fresh mandate would bring the fresh political capital needed to win her own law-makers over. There is the question if a reinvigorated France wouldn’t side with the stability-oriented north, something the German finance ministry certainly sees as a possibility. But in the context of Macron’s European convictions, I would say both France and Germany need to go beyond focusing on their national self-interest in designing a system that all countries of the eurozone should regard as legitimate. This is really the heartbreaking tragedy here. The ECB and the eurozone economic governance as a whole is criticised from the left and from the right, north and south. The north feel they are being ripped off and the south feel that their economies are being purposefully vandalised, so if both don’t like it, then we are really in a pickle. Politicians must be naïve if they believe that an economic governance system that is perceived to be illegitimate by both the north and south can be politically sustainable much longer than the medium term. The political will to keep the euro together is eroding, and if it is not kept up, then there are limits to what the European Central Bank can do to tape things together. A few years ago there was financial market challenge against the euro, in the form of speculation and rising interest rates. Now we have a political challenge to the euro, where rightwing parties are suddenly popping up because too many people are disenfranchised, and this is becoming a real democratic problem. The main problem is accountability for economic outcomes. An impression has been created that the EU, the ECB, and the Commission are dictating austerity, but this is not true at all. The ECB is not responsible for austerity. In fact, since 2013, the ECB has been calling on states with fiscal space to use that fiscal space. For four years now, the European Commission has been bending EU budget rules as far as they could in a unilateral way. The member states themselves created the European Stability Mechanism, an institution that was created outside of the treaty that looks European but which is directly controlled by the member states, on which the Commission has limited influence. So this is once again the member states hiding behind something that looks European to impose reform conditionality – austerity, structural reforms, etc. – and basically, blame ‘Brussels’ when the ESM is not even an EU institution. All of these things are then channelled through the Eurogroup, an informal club chaired by a finance minister who has a built-in conflict of interest, which is really quite an amazing arrangement. So turning around and criticising the ECB for all of it I think is a tad dishonest. There is a lot that the ECB can be criticised for, but certainly not that they have enforced austerity or something like that. At the same time, the poisoned atmosphere makes the ECB very defensive, which stands in the way of openly confronting criticism and encouraging a frank and forward-looking debate on the eurozone. Does formalising these processes necessarily require a new treaty in your view? Or can that be done without a treaty change? Obviously, you do need a new treaty, Merkel and Macron have acknowledged that much, but it’s also very difficult and it’s not going to happen quickly, which is why a phased approach is necessary. The first thing that can be done is to increase the transparency of the eurozone governance in a unilateral way. Because if you can’t change the procedures, if you can’t make bodies like the Eurogroup or the ESM politically accountable, then all you can do is be very upfront about the trade-offs that went into their decision-making. This need not be informal: In its reflection paper on deepening the EMU, the European Commission proposes a formal agreement on eurozone governance accountability to be signed between the institutions and the Member States. This agreement could be in force by the time of the next European elections in June 2019 and would be integrated into the Treaties at the next occasion. In the medium term, many issues can be addressed via ordinary legislative proposals: completing the Banking Union, coming up with a limited euro area fiscal capacity, and so on. But in the longer term – at the very latest after Brexit – reforms have to be included in a new treaty. So I think after 2019 it’s going to be very obvious, that a European Convention will be needed to formalise a kind of multi-speed arrangement for eurozone and non-eurozone countries, with the eurozone making up an ever larger part of the EU. There are obvious reforms, like getting the European Stability Mechanism into the EU treaties. And that is also an opportunity to formalise some changes for the ECB, for example, to hold it to account or to limit its independence – not for monetary policy, but certainly for banking supervision, which should be transferred to a separate institution. And at that point, it would be a good idea to consider a dual mandate for the ECB which also includes maximum employment, like the Federal Reserve in the US. Because the price stability objective basically helps people who already have money, whereas an employment objective would balance this out by helping people who are looking for a job. The EU has to be transparent about what it means to have a price stability-only mandate for the ECB, which favours some social groups over others. So that’s a tradeoff that needs to be underlined.